ABSS Accounting Malaysia ~ Why MYOB? Home » Why? » Why MYOB? With so many accounting solutions out there, it is difficult to decide which one is best suited for your business. MYOB was designed to keep things simple. Users do not need to understand accounting to complete the day to day business functions like issuing an invoice, receiving or making payments. All the modules that you need in one application, General Ledger, Bank/Cash Book, Sales/Accounts Receivable, Purchases/Accounts Payable. 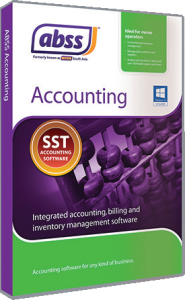 No need to switch between Billing system, Inventory system, etc. Up to date information is available to you at any time, no waiting for batches to be posted. MYOB goes beyond accounting and provides you with tools to better manage your business. Gain quick access to up-to-date, accurate and easy to access financial information. But don't just take our word for it. Request a demo and consultation session and we'll show you how MYOB can help you manage your business better!